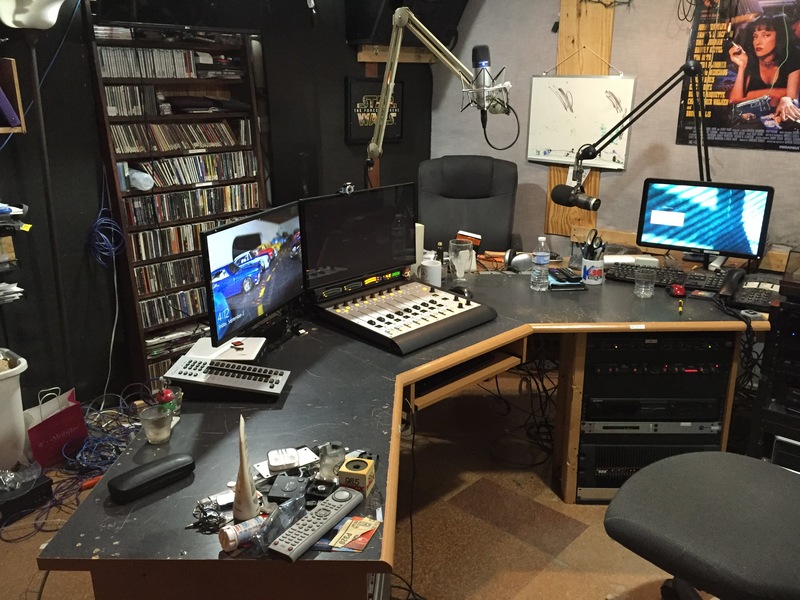 Our main studio “the mothership” has undergone a major refurbishing over the summer. We have moved from an analog studio design circa late 1980’s / early 1990s to a state of the art current tech digital audio over IP studio. This will give us capabilities that were not possible with the older studio! 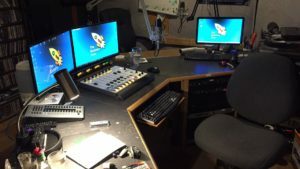 The studio was refurbished in two stages. Stage 1 happened last year, and some new capabilities were added. 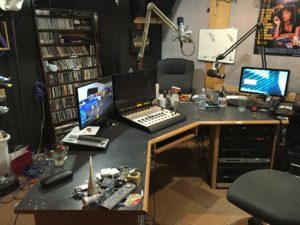 This year, stage two is nearing completion with new gear with new capabilities as well as an overhaul to make the studio more useful to how it is used now. A view of the studio after the refurb. A lot of the work involved removing much of the old wiring. 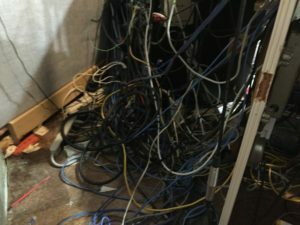 There is not as much wiring for the new setup as all of the audio is shipped around over a special computer network. This technology is called “audio over IP”. The company CG works for, Telos Systems, has pioneered this tech, and the new studio uses its line of Axia equipmnet! The technology used in the studio will allow us the capability to do live shows with listener interaction, both via the phone, and via calls in through Skype. We will be exploiting this ability at some point during the new season. First task will be to get used to the new digs! 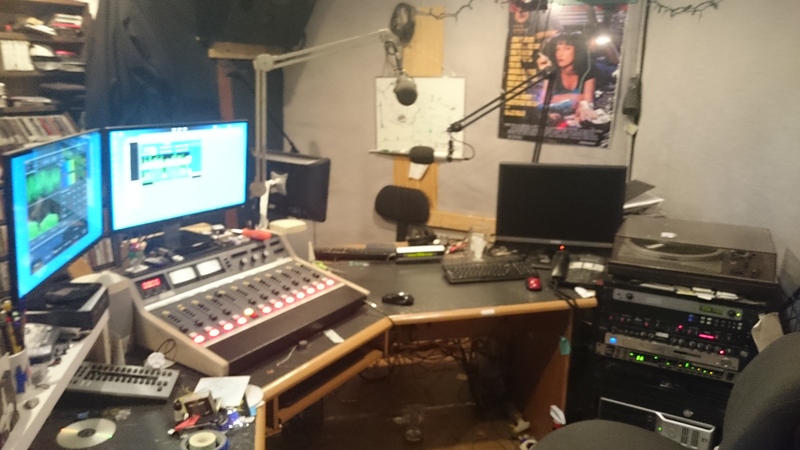 Another view of the studio (before the refurb was completed). 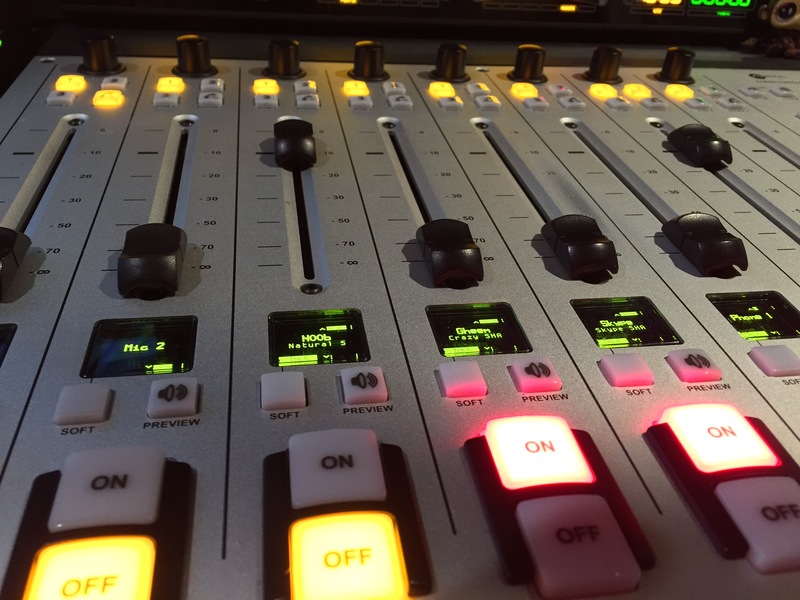 We have also updated our mobile studio, which will allow us to do shows from on-location without hauling a ton of equipment around. We will be testing this out by recording a show from one of our local launches. We may do several to work out some kinks, and to make sure all is well! Lots of wires! 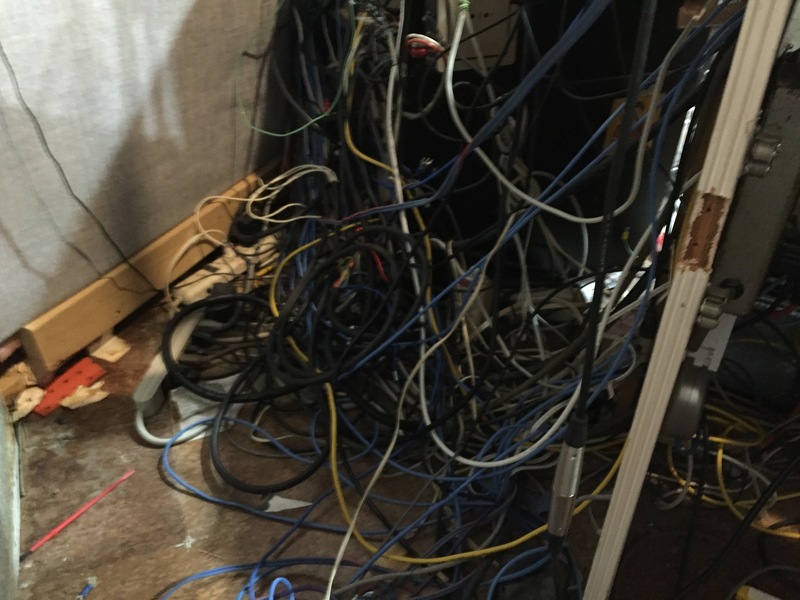 These have been pulled from one end, and are bunched up at this end to disconnect, and remove!